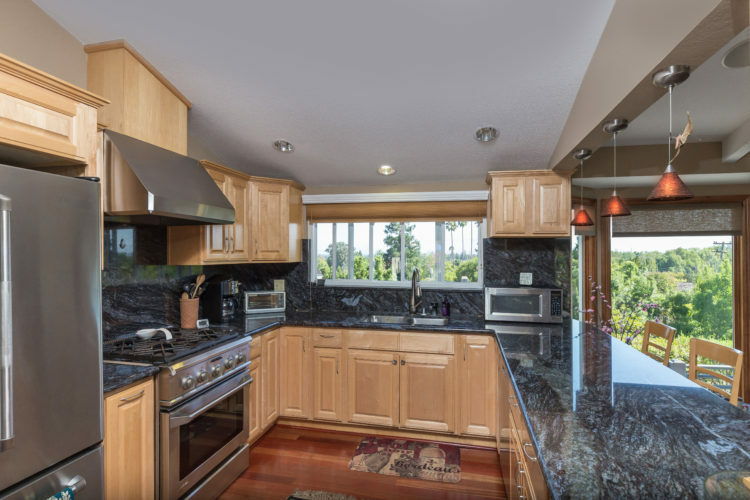 Come home to a stunningly remodeled Belgatos view home, and enjoy sweeping vistas of Silicon Valley from all the main living areas of the home! 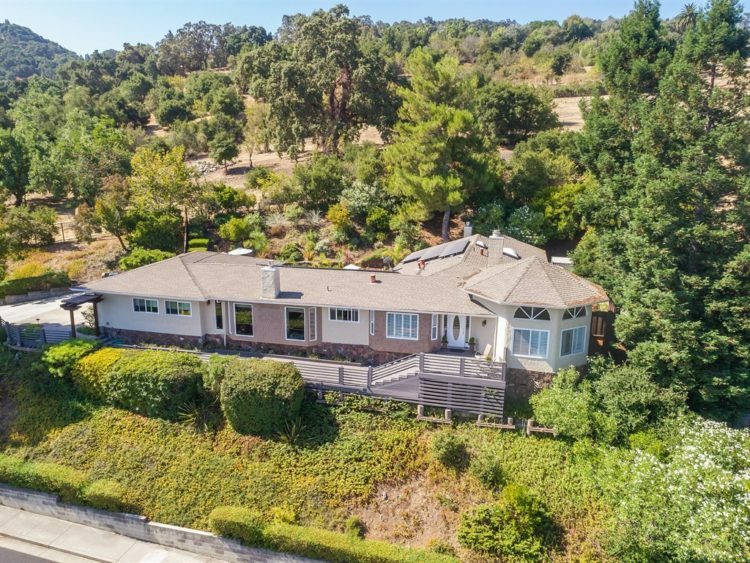 211 Westhill Drive, Los Gatos, is offered for sale at $2,288,000 and features 4 bedrooms and 3 bathrooms. 3112 SF of living space: 2856 Square Ft (appx.) + office (appx 256 SF) on a lot of 13,939 SF. 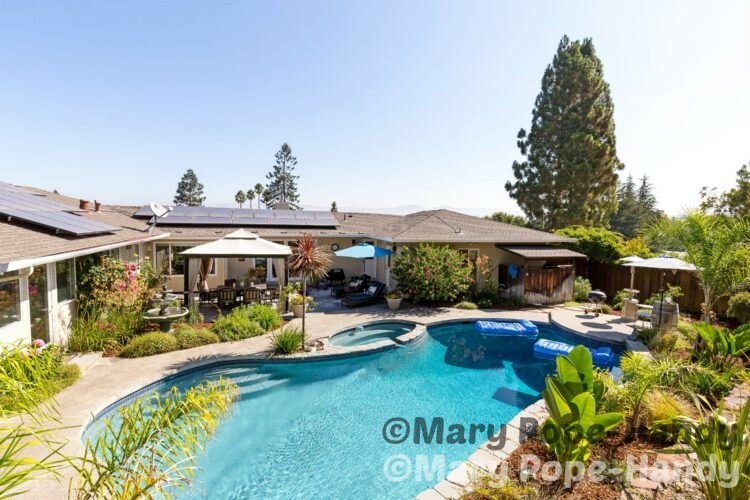 So many extras, such as solar power, dual pane windows, plantation shutters, fan lights, but above all, a scenic setting, a comfortably large house, in a great Los Gatos neighborhood next to Belgatos Park. 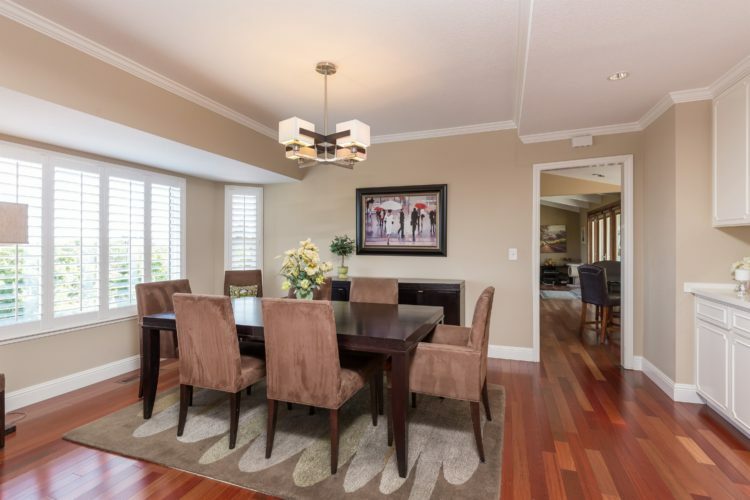 Open house schedule: Sept 9 and 10 from 2 – 4 pm, Wed Sept 13 9:30am – 12:30pm, and Saturday Sept 16 2-4. Please stop by! This house was thoughtfully designed with the living room, dining room, kitchen, and family room all enjoying the views. The bedroom wing is tucked behind the octoganally shaped living room, and they overlook the yard and pool. Beautiful Brazilian cherry hardwood floors grace the living areas, hallway, and bedrooms, creating a clean and contemporary feel to the home. Plantation shutters, dual pane windows, lovely crown and baseboard provide a timeless feel. 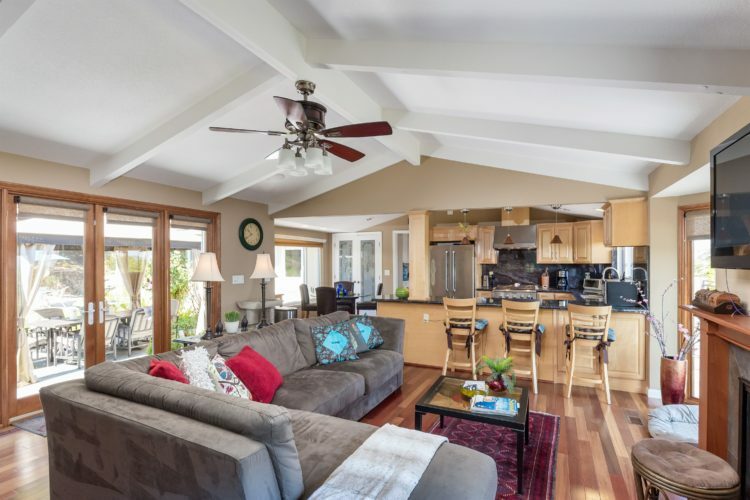 The kitchen is open to the family room and includes stainless steel appliances, slab granite counters, and a vaulted ceiling with recessed lights. Not shown here is the breakfast nook and pantry, which look toward the resort like back yard. 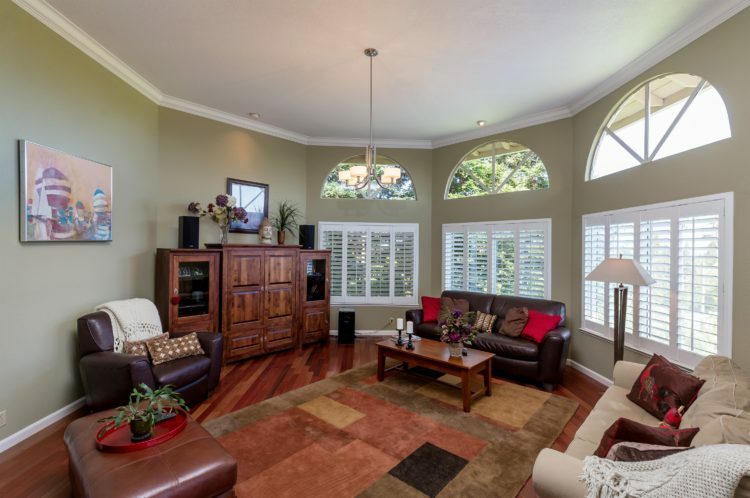 The heart of the home, the family room is drenched in natural lighting with windows on both sides. Your own private resort! In addition to the pool and patio area, there’s another patio and planting bed area along the right side of the house. Previous owners had used that area as a sports court. There are many possibilities to utilize that space!